Each episode of THE WIRE this season seems to be ending with a shocker. No surprise it being the final season. Now Marlo's in with The Greeks, the lawyers and he's got the muscle on the street. 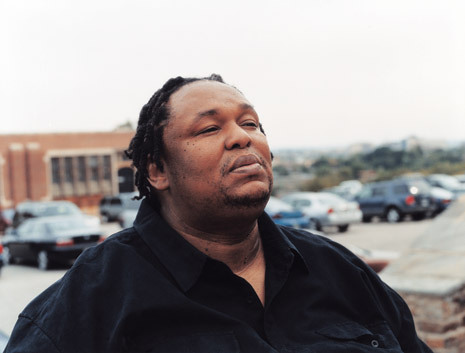 He's set up the pieces and made his play which is bad news for the co-op and Proposition Joe. Like Stringer Bell, Prop Joe can't survive the game. His character will be missed. Marlo's the new ruler in town but Omar is lurking. The thing is, Marlow isn't in with the Greeks, Marlow thinks he's in with the Greeks. He's overplayed his hand, and I think the screws will tighten slowly. He thinks it's about power, etc, everybody who's really serious about power he's dealing with think's it's about business. His mistake, no? said EmanG on January 28, 2008 1:48 AM. Interesting idea. I didn't think about it like that. Marlow may have moved too fast and was impatient. Or perhaps it's just because there's only 10 episodes the writers have to move the story along quickly. said Baierman on January 28, 2008 10:40 AM.